According to psychologists, the ways people choose to spend their spare time are important indicators of their character. What do these pastimes say about these famous Russians? In his spare time, Ivan IV, better known as Ivan the Terrible, liked to gaze at the stars or play chess. He tried to get members of his court to take up his favorite hobbies, but without success. Ivan taught the rules of chess to Malyut Skuratov, the head of the oprichniki (a kind of a cross between Ivan’s personal bodyguards and the national guard), but he never became a very good player. In the last years of Ivan's life, his usual chess partners were his two favorite courtiers, Boris Godunov and Prince Ivan Glinsky. According to legend, the tsar died sitting at the chessboard. Peter the Great was a man of seemingly limitless interests. During his lifetime, Peter learned the arts of shipbuilding, navigation and watchmaking; he took drawing and engraving lessons; he studied how to make paper; he mastered carpentry, masonry and gardening. He also attended the anatomical theater where he studied the ins and outs of the human body and practiced surgery. Occasionally, to relax, he even practiced dentistry, removing unhealthy teeth. Sometimes he would get carried away and pull out the healthy ones as well! While in Holland studying shipbuilding, Peter became infatuated with ice skating and found a way to modernize ice skates. Initially, skates were tied to ordinary shoes with ropes and belts, but Peter invented skates that had the blades already attached to the soles. There was one craft that Peter could not master, however. Once, as he was trying to weave sandals, he cried out: "There is no craft more difficult than sandal weaving." Among Soviet leader Leonid Brezhnev's hobbies was driving cars and playing ice hockey. But most of all he loved to hunt. 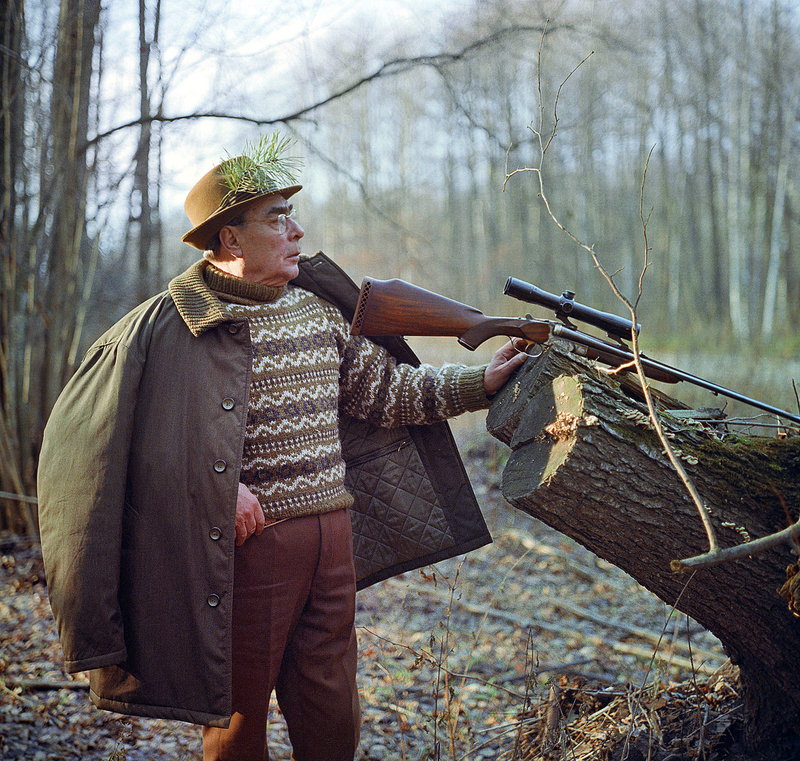 Even at the end of his life, Brezhnev continued to spend the weekends at a military-hunting estate in Zavidovo. The boars at the estate were fed potatoes and as a result they would approach the hunters, who stood only about 100 feet away. It was impossible to miss, but a professional huntsman would fire simultaneously with Brezhnev — just in case. Yuri Andropov, who as head of the KGB was responsible for purges in the party and government apparatus, wrote poetry after he was elected General Secretary of the USSR. His verses ranged from lyrical to humorous; some of them even contained slang and inappropriate language. Unfortunately, they still have not been published.